My dictionary drawings have suddenly become filled with lots of creatures. I often have people inquire about dog drawings and my response is usually -"Which breed?" I have a few I've created as commissions like this little guy. 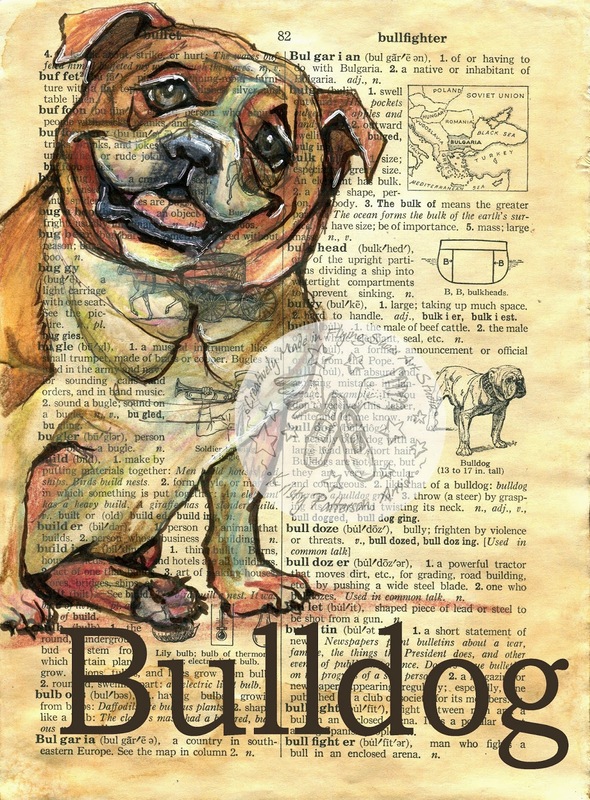 A friend requested a bulldog drawing so I set out to capture a dog with some personality. My goal was to give it a happy look without making it a cartoon.